Conversations with Children by S. Murali. Puducherry Co-op Book Society, 9, Jeevantham Street, Ashok Nagar, Pondicherry 605008. 2005. 38pp. Paperback. Rs.60.00. ISBN 81-87299-10-06. 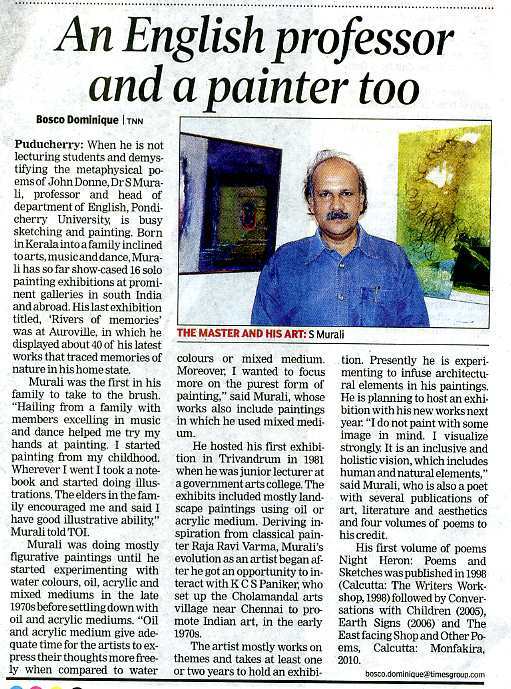 S. Murali is a painter of repute, and a literary critic who has specialised in Indian literary theory and aesthetics. He is Reader in the Department of English, PondicherryUniversity. Conversations with Children, his second collection of poems, lives up to the promise of his first collection, Night Heron (1998); however, unlike Night Heron, it has no illustrations. The twenty-five poems here have a variety of themes — the title poem deals with the problem of communication, while “My Father and R.K.Narayan” is a moving tribute, mourning both his father and the eminent writer, who “died a few days before R.K.Narayan did.” As in the earlier collection, love of nature is an important theme; “The Bleeding Tree” which laments over deforestation has an allegorical quality about it. Some poems, such as “I Like to let the word fly about”, “There’s no Wisdom in Poetry” and “Afterward” deal with the art and craft of poetry. Some poems are based on the Puranas. There are five poems about Krishna, and his miraculous childhood exploits. There are poems expressing the feelings of Eklavya, Garuda, Krishna, Karna and Kaikeyi. “Amba Upanishad” expresses the anguish of Amba, the princess forcibly brought to Hastinapur by Bhishma to be his brother’s bride; she confesses, “I had not known enough of hate/ Before now, to hate so much . . .” In “I, Bahuka”, the protagonist wonders who he really is, the glorious King Nala, husband of the beautiful Damayanti, or the dark, ugly Bahuka he became when bitten by a serpent. 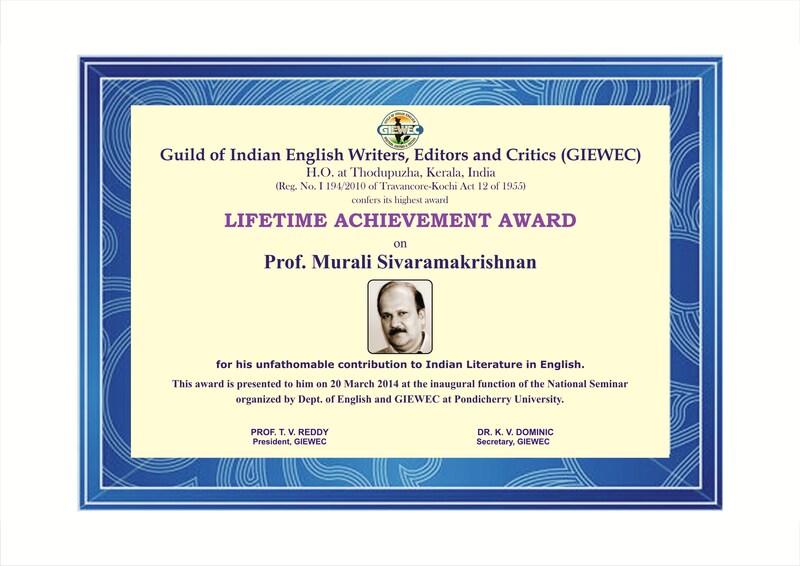 Murali’s poems are characterized by careful craftsmanship. His free verse experiments with a number of stanza forms, such as four-line stanzas and three-line stanzas. Some poems have a refrain, but he avoids rhyme. as simple as peeling bananas. 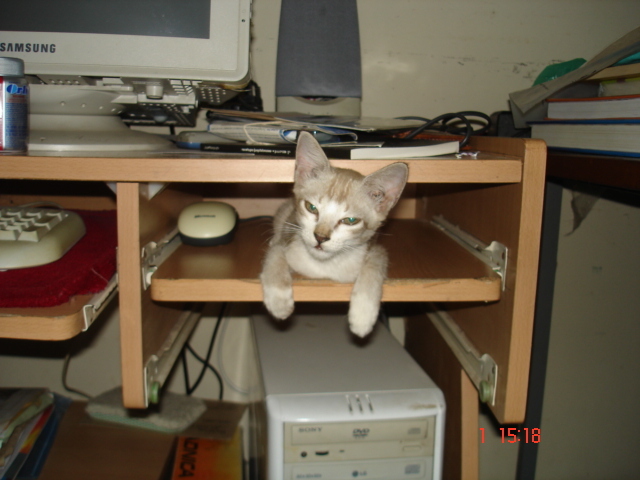 there’s just not any space for you. and lightning; thunder calls across the sky. One does not know (and the poet probably does not care) how a non-Indian reader would respond to such imagery. Would they slot the cow or the monsoon into the category of the “exotic Other”? Would they be able to understand the reference to “artha from sabda” (and the implied allusion to Kalidasa)? The same questions could be asked about Murali’s poems about figures from Indian mythology. But there is no doubt that these poems are a rewarding experience for the Indian reader; they are thought provoking, and present fresh perspectives on characters like Kaikeyi. What is else to remember but the sadness that darkens all? Forgetting the distance between a million stars. Filled with pain and distraught. Your last wave of that flowy tail. Your valediction and the tale trailing our deep silence afterward. All pain is forgotten in time, I know. All memory will suffer the touch of forgetfulness. This is life’s simple truth. The plainness of reality for us humans. In an eternal present. You have eased into memory. I saw the light go out in those pearly eyes. You taught me to love and to treasure each moment. Is hastening toward red; all things move from all others. And it is the light that has gone out of our eyes.